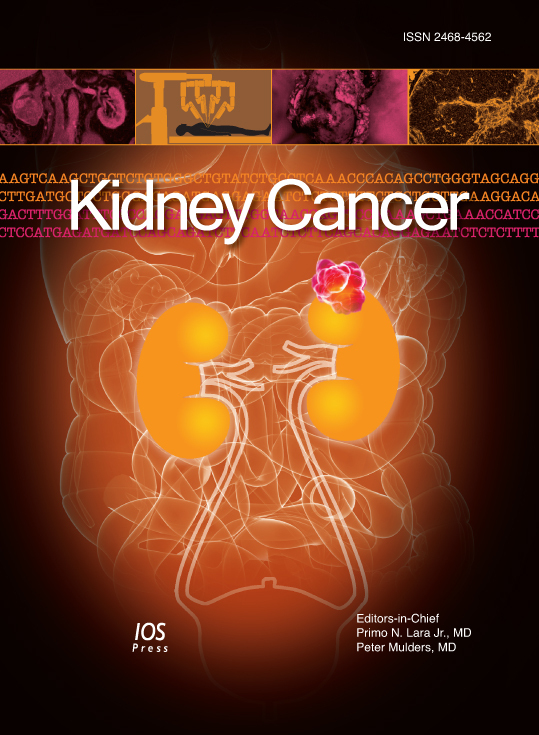 Following on from the launch Kidney Cancer in summer 2017, we are now pleased to announce publication the latest issue of the journal. Click on the banner image to go straight to the issue! This study indicates that 4LT appears to have activity in mRCC patients. The figure shows total number of patients receiving the therapies (A); with (B) indicating therapies given to patients who received 4LT. From: Stukalin, et al., Kidney Cancer, vol. 2, no. 1, pp. 31–36, 2018. Authors are requested to submit their manuscript electronically to the online submission system msTracker. Note that the manuscript should be uploaded as one file with tables and figures included.